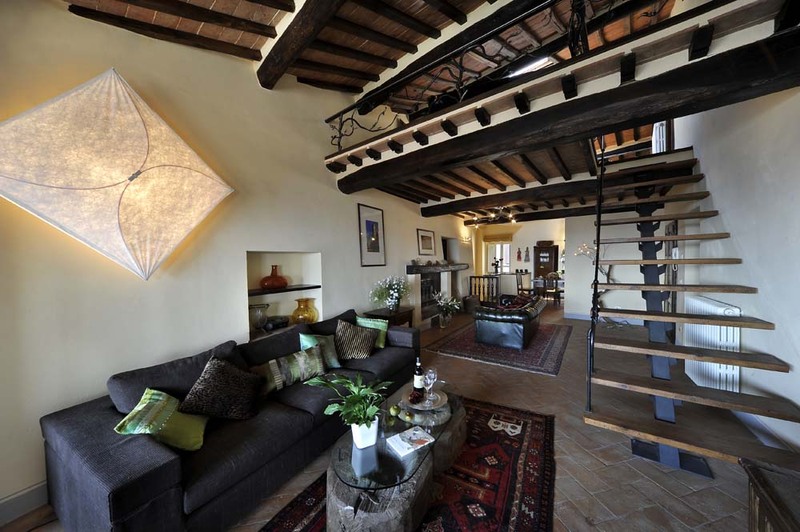 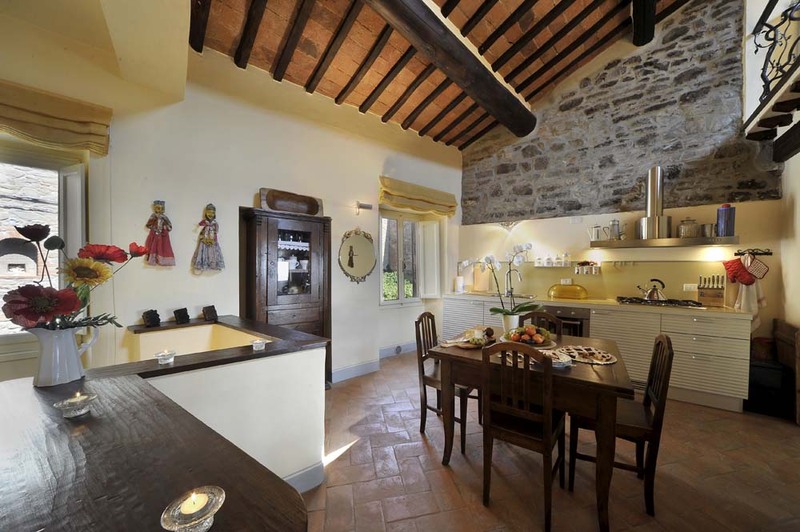 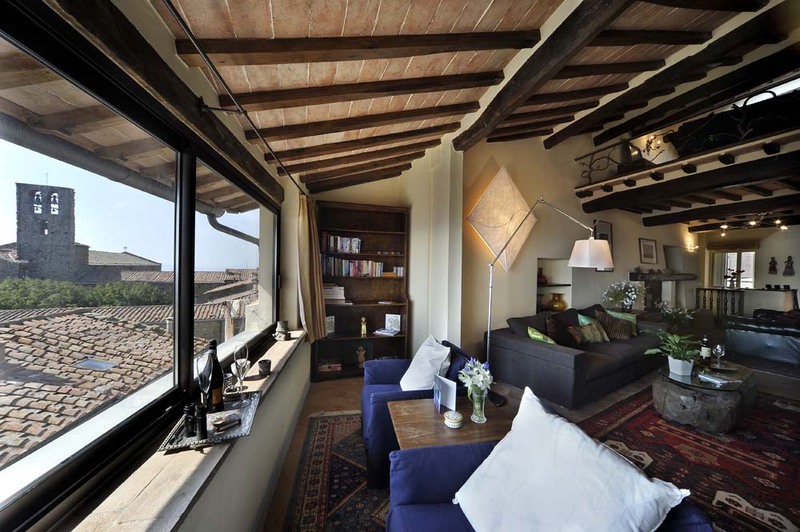 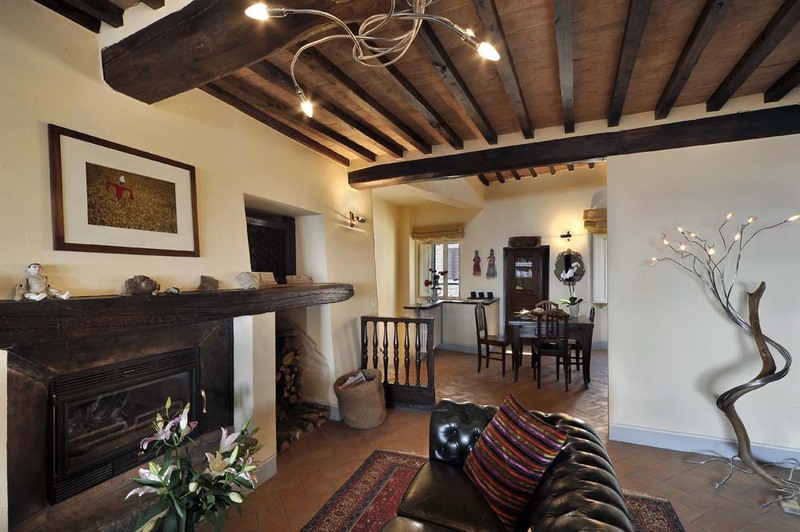 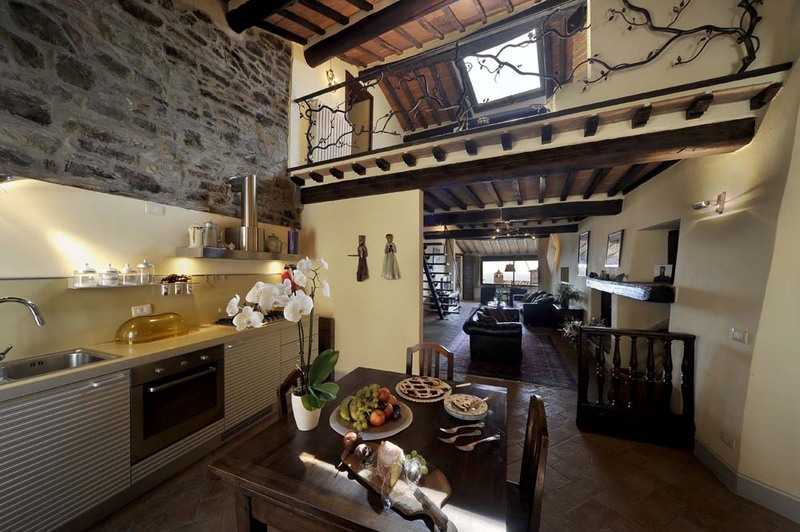 Casa Dolce Vita is a luxury apartment in the centre of Cortona, with a beautiful panoramic view over the city and the valley. 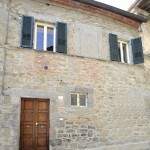 The position is a perfect starting point for walks at the discovering of hidden and less popular corners of Cortona. 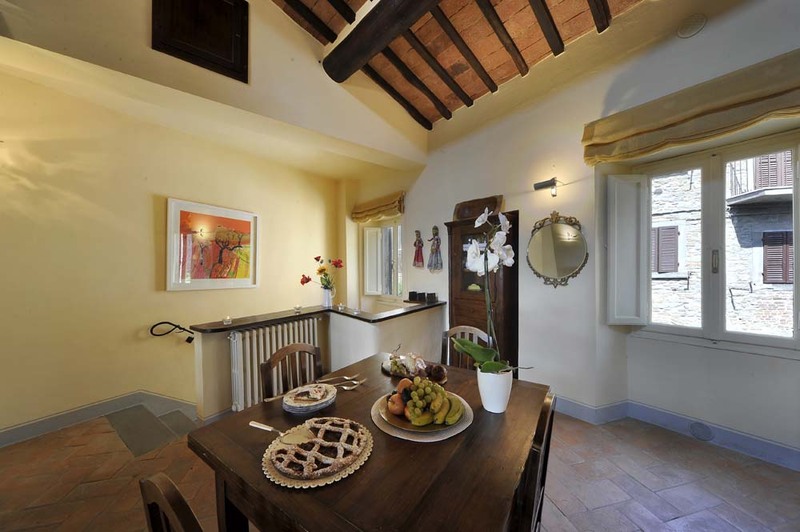 The proximity to the paved street that leads to the Santa Margherita Church, let you know the less known forshortenings, going through the Church of San Niccolò, the St. Chiara Monastery and the Monastery of the Sisters. 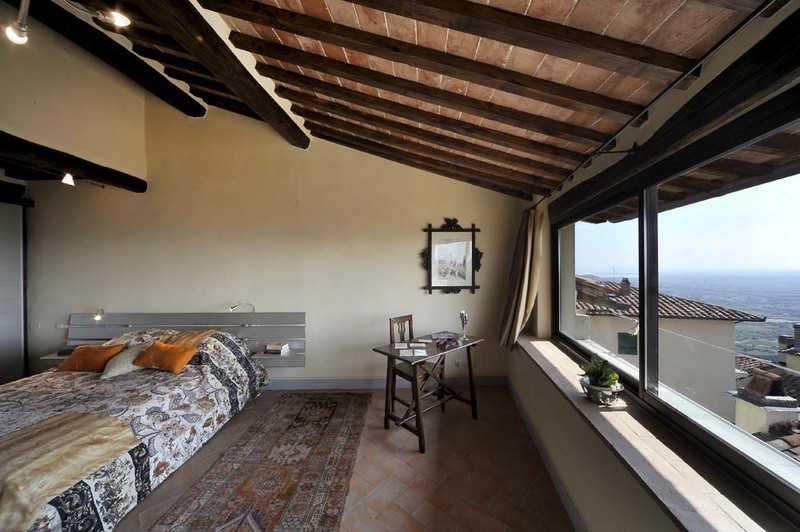 You will see cypress trees, boundary walls and stone capitals that create the typical Tuscan landscape that will remain in your memory. 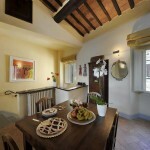 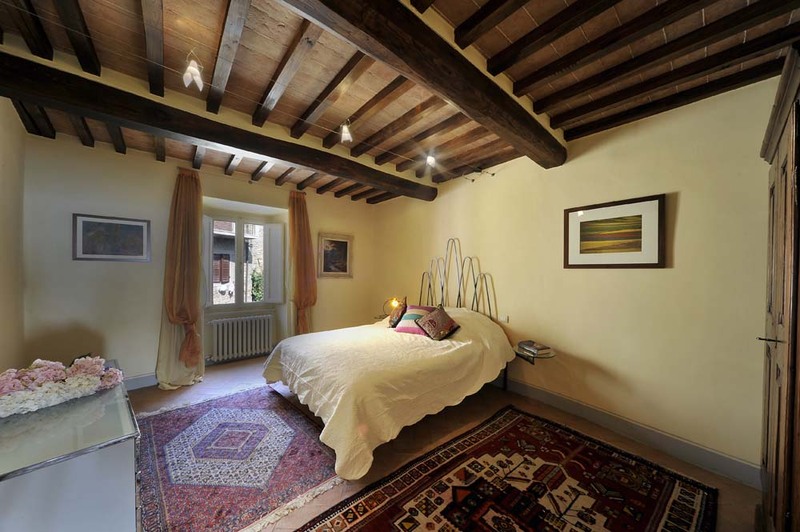 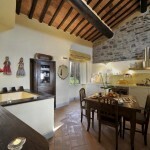 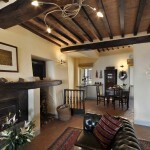 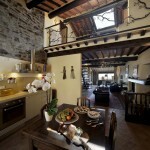 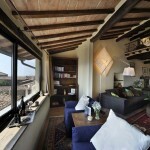 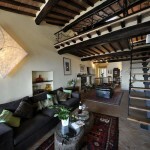 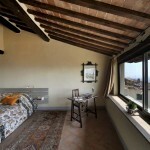 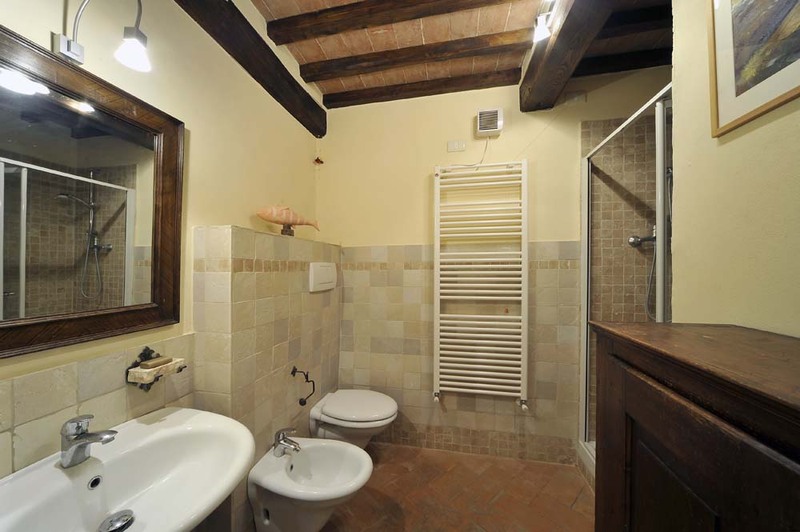 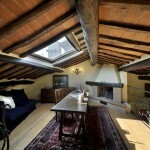 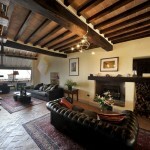 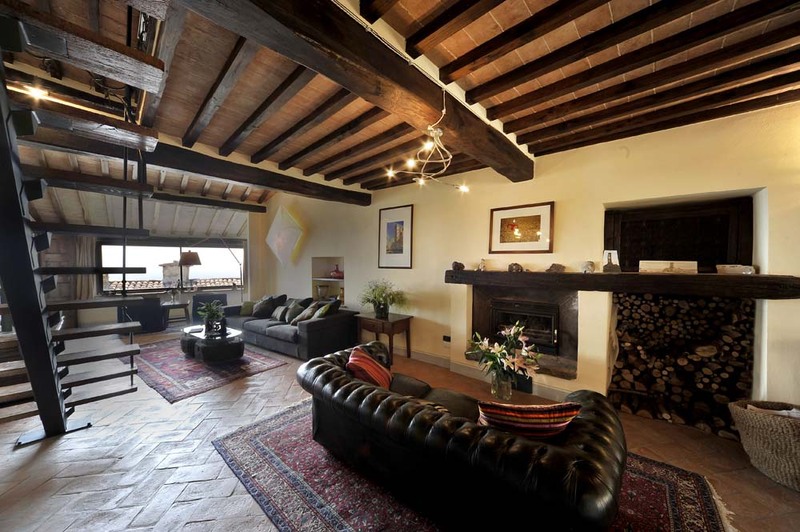 The apartment Casa Dolce Vita is located in an ancient building in the city centre. 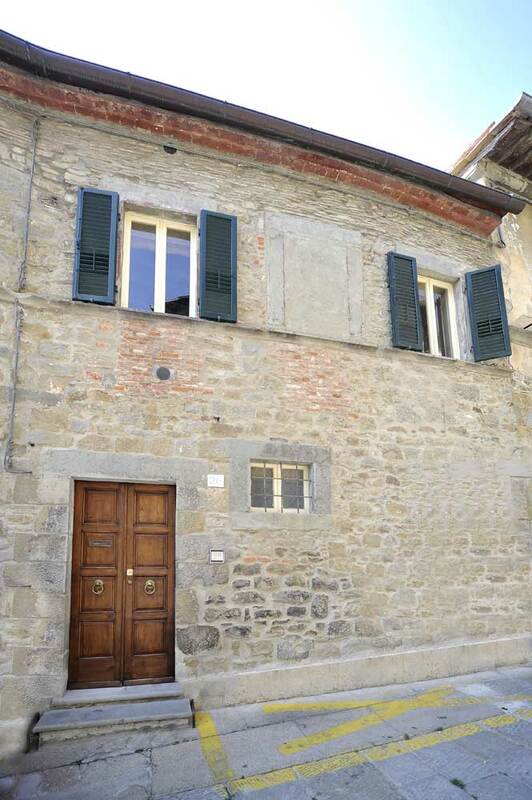 The entrance is on the ground floor where you find the laundry; the private stairs with 12 steps leads until a big open space on the first floor, divided between the kitchen area and the beautiful living room furnished with sofas, fireplace, Tv, and armachairs, and by there you can look at the amazing view of the city and its valley. 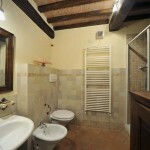 On the same floor there are two double bedrooms, one of them with a spectacular view, and a bathroom with shower. 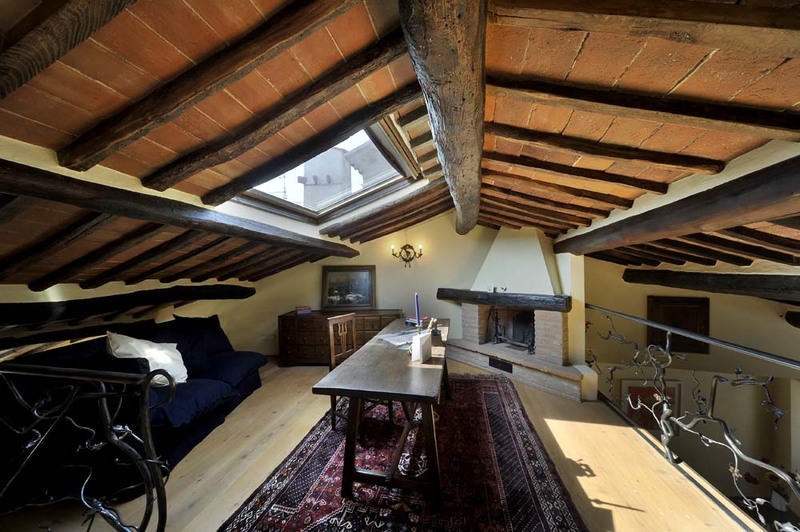 The loft with a beautiful wood stairs has got a little studio, a little bedroom with a sofa bed and a bathroom with shower.